The term "Singapore Math", as used in the U.S.A. and Canada generally refers to the Primary Mathematics series developed and used in Singapore. They were first published in 1982 and was the only series used in Singapore primary schools up till 2001. 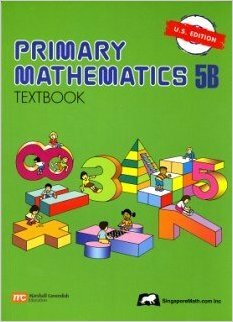 Primary Mathematics was written by members of a project team put together by the Ministry of Education, Singapore. Singapore's 4th and 8th grade students scored top place for Mathematics in 1995, 1999 and 2003. These students in grade 4 and 8 took TIMSS (Trends in International Mathematics and Science Study) and used the Primary Mathematics Series. The core curriculum for grades 1-6 is called Primary Mathematics. There are two books that are used together: a Coursebook and a workbook. In each year, there are two Coursebooks and two Workbooks. 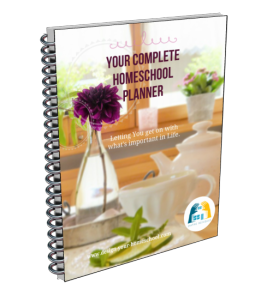 Many homeschool families love using this as their primary homeschool math curriculum. Below you can see the Primary Mathematics Sets for Levels 1-4 from Amazon. Singapore Math develops problem solving and mathematical thinking as opposed to just rote learning. It moves from concrete examples to pictorial to abstract approach. It does not come with manipulatives, and it would be important for the parent to use something (anything really) to do math in a concrete way. Some children need a lot of concrete work before they write anything down - so I would suggest that the examples which are in the book are also done in a concrete way with whatever you have on hand. The colourful Course Books show pictorial examples before the concept is taught in abstract terms. These books are helpful when teaching at home because it allows the parent to introduce and/or summarize new concepts by looking through the coursebook and then giving him practice in those areas in the workbooks. The books are very good at clearly conceptualizing math topics visually. Singapore Math uses a mastery approach which means that they recommend that certain math concepts are really understood and memorized before moving on to the next section. As a parent, you need to work with that and although mastery is the desired response, sometimes it may be a source of frustration for a child not to move forward just because they still need to use a manipulative or their fingers to work out problems. As a parent, I have just moved forward when I know the concept is understood. I know that over time with more concrete work and memorization of facts, things will become easier. Perhaps you have personal experience with this homeschool Math curriculum? Did it work in your home? Add your Review here. As an addition to Singapore Math or another homeschool math curriculum, you may really enjoy working with fun puzzles and games. Recently, I have found MathPickle. They have great puzzles and games to solve for all grades. I love this site. Just playing around with these frogs is a bit addictive. I think it's a great addition to any homeschool curriculum you may use to make sure that math is practical and also a problem solving endeavour. Try out the Jumping Frogs Puzzle here. Did you get it?